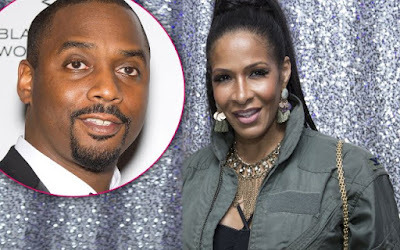 iRealHousewives | The 411 On American + International Real Housewives: Shereé Whitfield’s Jailed Boyfriend Tyrone Gilliams’ Criminal Past Revealed! Shereé Whitfield’s Jailed Boyfriend Tyrone Gilliams’ Criminal Past Revealed! Shereé Whitfield revealed during last week's episode of The Real Housewives of Atlanta that she was in love with a man in prison last week. Now, according court documents obtained by Radar Online, it exposes the reason Tyrone Gilliams was thrown behind bars for 10 years. According to his indictment in federal court he was busted for stealing $5 million from two victims and spending the money on his own lavish lifestyle! Gilliams was found guilty of three counts of securities fraud and wire fraud, and was sentenced to 120 months in prison. He was also ordered by the judge to pay the entire $5 million back in restitution. He and his attorney, Everette L. Scott Jr., were convicted of concocting a scheme to defraud their victims by claiming that they were investing $5 million from their victims in the “Treasury Strips Program,” but the two criminals “misappropriated the vast majority of the money,” court documents state. Whitfield’s boyfriend Gilliams egregiously misused the funds, spending it on “his own personal investments and to support his own personal lifestyle,” according to the indictment document. He spent “more than $1 million organizing and sponsoring a festival called ‘Joy to the World’ that culminated in a December 18, 2010 black-tie gala at the Ritz Carlton Hotel in Philadelphia, Pennsylvania, along with an event in the Bahamas in or about December 20 called the ‘Gatta be Jokin’ Comedy Jam,'” the documents continue. Whitfield’s boyfriend Gilliams was sentenced to 10 years in prison and three years of probation upon his release, documents stated.